Benefiting the mind, body, and soul, more Canadians are turning to massage therapists to help cure their tension, stress, and work out tight muscles and cramps. While it may seem like as simple service, and great for everyone, this is not always the case. There are a few specific situations where massage therapy is not recommended. Here is a list of the conditions that may prevent you from receiving a massage and the reasons behind it. If your body allows it, a massage can help treat a multitude of issues in the mind and body. It’s commonly used to treat tense, sore muscles as well as various medical issues such as fibromyalgia, anxiety, insomnia, joint pain, headaches, and digestive issues. Pain, muscle tension, and stress are the three main categories that massage directly impacts. This depends on which trimester you are in. Pregnancy is a wonderful, but uncomfortable, experience. Many women turn to massage to help ease their sore muscles, backs, and ankles. Make sure you inform your massage therapist about which trimester you are in, as massage therapy is not recommended in the first trimester due to potential miscarriage triggers. In general, you need to wait to receive a massage until you have undergone medical treatment for the skin infection. This is to protect both yourself, the therapist, and other patients as many skin infections are highly contagious, because of the risk of spreading the disease. Call and speak to a therapist or receptionist to find out about your specific situation. 25% of Americans experience high blood pressure, also known as hypertension. A massage therapist must carefully decide if they can treat you or not, because certain messages, especially deep tissue massage, can cause an increase in blood pressure. Your therapist may need you to provide a doctor’s note, clearing you to receive services such as a deep tissue massage or a Swedish massage. For sanitation and safety purposes, it is not recommended to receive services from a massage therapist with an open wound. Some bruising is often acceptable, but make sure you let the technician know about the area so they can take necessary precautions during your service. Deep tissue massage, Swedish massage, and a variety of other massage techniques can be performed if you have cancer. You need to be transparent with the technician in order for them to provide you with the proper services and take all necessary precautions before, during, and after the service. You may be required to bring a doctor’s note approving a massage service. Often times, an RMT will not perform services on you if you have been drinking. Massage is a wonderful technique to help move lymph and toxins through the body. However, this become problematic when you have already filled your body with an outside toxin. The end result is your body becoming overloaded with the already occurring toxins in your body, coupled with toxins from the alcohol, being surged through it. Deep Vein Thrombosis is considered a massage contraindication, meaning that it does pose a risk to your health to receive a massage. This is because the complication associated with this, pulmonary embolism, can be exasperated or triggered. While a history of blood clots is not a contraindication, a current blood clot is. If a clot breaks free during the massage, it can travel through your body and find its way into your lungs. 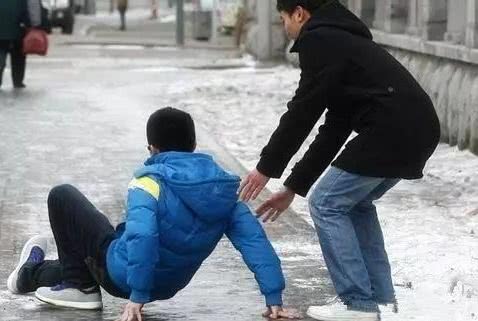 Massage may be relaxing, but it isn’t worth risking your life over. This depends on the medication in question. While some medications are perfectly safe, others are not. If you take any medication at all, make sure you inform your therapist prior to the service taking place. These are common medications that many RMTs are cautious about performing services with. What are the other conditions prevent me from receiving massage therapy services? While massage is relatively safe, your RMT will need to know about any pre-existing conditions in order to ensure your safety throughout the process. Many clients come in with a variety of issues and have no problem at all. 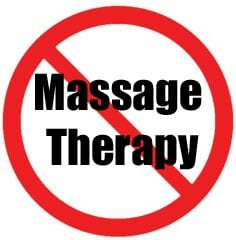 However, there are some conditions that prevent massages therapy from taking place. These are called contraindications and are as follows. These are just a few medications that need extra precautions. While taking these medications does not mean a massage is out of the question, it does mean that your therapist will take extra precautions to ensure your safety. When people start wondering, “what is a good massage near me?” they often do not take into consideration any pre-existing conditions that could make a massage dangerous for them. Always check with your therapist and ensure that you are open and honest about your medical history with them. Pro Fusion Rehab has been serving the community for many years. By providing high-end massage services, we are able to promote health and well being of the residents in our area. As a private physiotherapy clinic in Milton and Pickering, we help restore mobility and relaxation to our patients. For questions, concerns, or to make an appointment today.